We are what we eat and so our memory is linked to food. The helplessness that overwhelms us when one forgets a name can be embarrassing. In this age of instant googling, this is just the start of the ebbing process where memory is gradually relegated to a shrinking space in our brains. Enter Master Chef India shipra Khanna who tells you about the fish that helps you meditate or a walnut that prevents you from going nuts. 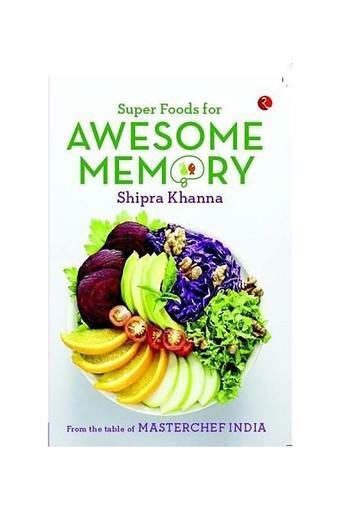 This amazing book of recipes brings to us on a platter the food that helps us in strengthening our mind and memory. And this food is to be found not in some exotic location but in our own kitchen. Try her recipes and see for yourself how you can fight the complacency and sloth that come in the way of your exercise and positive action, thereby making for a better life. From chicken recipes that keep ageing away to recipes made with coconut oil that help fight memory loss, super foods for awesome memory is the book you will never forget. 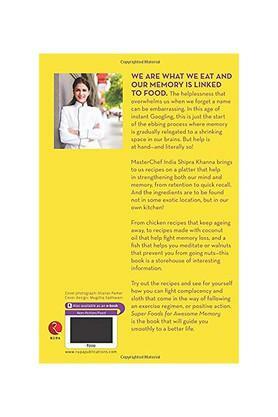 Shipra Khanna won the prestigious title of Master Chef India season 2. She is a restaurateur, television food anchor, author, social worker and owner of a digital channel. She also gives demonstrations of multiple cuisine preparations from across the world. She lives in Mumbai, India.